Haroun Domain is located in BRUMMANA at an altitude of around 650 meters above sea level. Haroun Domain is surrounded by beautiful mountain views and green sceneries. The moderate climate makes the location unique. The light cool breezes and sunny days during spring and summer time, and the moderate autumn and winter season makes Haroun Domain convenient 365 days a year. The project is 20 km drive from Beirut through the newly built Metn express high way that takes you into the heart of the thriving city. 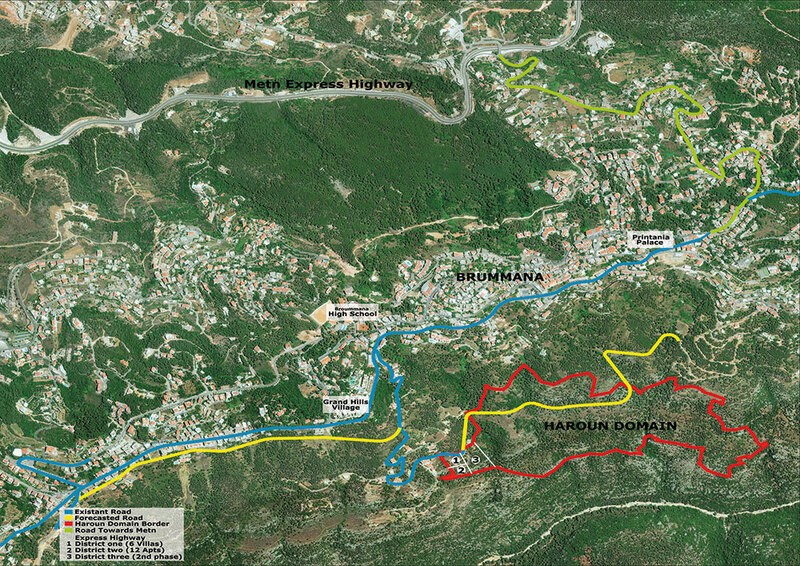 Haroun Domain is accessible as well from many other main roads, and highways. Brummana High School, Louise Wegman located in BRUMMANA are some of the well respected schools in the country. Grand Hills Village and Printania Palace, are few of the many resorts around you. Living in Haroun Domain you’re on an easy walk from local shopping centers and restaurants in BRUMMANA , having everything you need close to you.